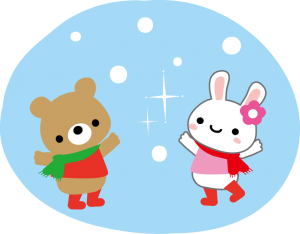 Japanese Social Services is starting its annual Holiday Drive Program. Once again we are calling upon members of the community to embrace the holiday spirit and reach out to the less fortunate among us. The success of this program so far lies heavily with the co-operation of agencies such as yours and of many participants who expressed their interest and kindness by taking part in this program in the past. Please bring donations to the collection hampers near you. 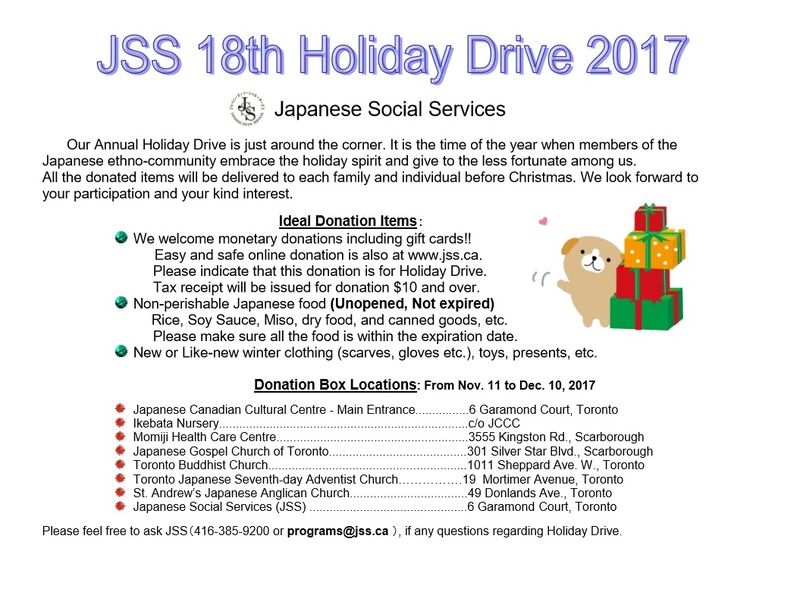 All the donations will be brought to JSS, sorted into packages for the families on December 11, and delivered to the families in time for the holiday season. We also welcome monetary donations, ensure to note that it is for “Holiday Drive” and mail or bring it to the JSS office. You can make an online donation from the button below. We will issue a tax receipt for donations of $10 and over. We are presently compiling the list of recipients who would benefit from this program. If you or your organization have any names you wish to add to this list, please contact our counsellor, Mr. Takanori Kuge, at 416-385-9200 as soon as possible. All calls are kept confidential. Please feel free to circulate the flyer to your friends and family members.